The Stand Up, Fight Back campaign is a way for the IATSE to stand up to attacks on our members from anti-worker politicians. The mission of the Stand Up, Fight Back campaign is to increase IATSE-PAC contributions so that the IATSE can support those politicians who fight for working people and stand behind the policies important to our membership, while fighting politicians and policies that do not benefit our members. 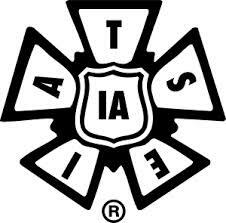 The IATSE, along with every other union and guild across the country, has come under attack. Everywhere from Wisconsin to Washington, DC, anti-worker politicians are trying to silence the voices of American workers by taking away their collective bargaining rights, stripping their healthcare coverage, and doing away with defined pension plans. Help Support Candidates Who Stand With Us! For our collective voice to be heard, IATSE’s members must become more involved in shaping the federal legislative and administrative agenda. Our concerns and interests must be heard and considered by federal lawmakers. But labor unions (like corporations) cannot contribute to the campaigns of candidates for federal office. Most prominent labor organizations have established PAC’s which may make voluntary campaign contributions to federal candidates and seek contributions to the PAC from union members. To give you a voice in Washington, the IATSE has its own PAC, the IATSE Political Action Committee (“IATSE-PAC”), a federal political action committee designed to support candidates for federal office who promote the interests of working men and women. Click here to make a contribution now!